The latest technologies support minimally invasive dentistry (MID) techniques at the heart of Sherwood Dental’s patient-centric practice. Lasers represent an entire category of advanced technologies, but not every dentist is equipped with them. As your laser dental clinic in Oakville, ON, Sherwood Dental offers this proven, gentle, and precise alternative to cutting and the high-speed drill. Studies have found the drill and scalpel among the primary sources of dental anxiety. Dr. Gaines and his dental team understand the importance of treating the whole person by eliminating the cutting, vibration, and pressure of conventional methods, along with the bleeding, swelling, and pain during and after traditional procedures. Laser treatment results in little to nothing to recover from. Even the lingering effects of shots used to administer anesthetic are a thing of the past, because numbing medications are not necessary since laser dentistry is well-tolerated by patients of all ages and with all needs. By harnessing the energy of the laser beam to manipulate tissues gently, the outcomes of restorative procedures are enhanced. Laser dentistry allows more natural, healthy tooth structure to be retained. The crown or other restoration has more tooth structure to bond to, which increases the odds of your tooth looking, feeling, and functioning at its best for years to come. 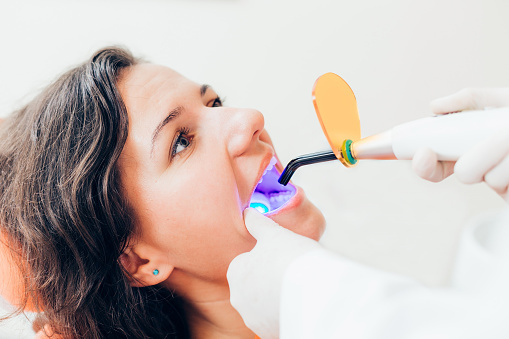 Since the mouth is an indicator of how well the rest of the body is functioning, lasers that protect or preserve oral health can transform the lives of patients who formerly lived with painful decay and disease. Treatment can halt or even reverse devastating effects, which surprisingly include life-threatening infections and even heart disease among those with advanced gum disease. Don’t wait to benefit from these powerful, techniques and technologies. Call 844-951-8855 to schedule a free consultation.